Regarding a CU or Certificate of Use, Dade County's COU of Miami - Certificate of Use Inspections is a first-rate company worth turning to. We abide by the regulations that are set by the state's Department of Planning & Zoning. We have a team of skilled architects, draftsmen, and engineers. We are licensed, insured, and experienced (since 2009). We offer reasonable prices and we get the job done fast (usually, with a 3 to 5-day turnaround). To top it all off, we work with the assistance of a proprietary software that was acquired especially for Certificate of Use inspections. A major advantage of holding a Certificate of Use is that thorough assessments on your property will be underway before it is issued. This means that evaluations whether the place is safe were completed. Moreover, before a CU is issued, the architectural and engineering concepts were checked; with it, there's guarantee that that the overall framework isn't susceptible to destructive factors (e.g. floods, storms, and other natural calamities, fire). If you aim to avoid any risks concerning your building, you need to secure a Certificate of Use. Dade County residents, fortunately, have us, at COU Miami, to provide assistance. Owners of properties such as condominiums, single-family homes, duplexes, and townhouses can be rewarded financially upon the possession of a Certificate of Use. By giving light to certain factors that influence a house's resale value, you can benefit from high returns on your investment; the list of considerations includes structural layout, size, location, age, condition, and upgrade potential. Alongside, with the results presented to you by CU inspectors, you can determine the current value of a building or whether it is worth maintaining. This is a privilege of availing of our services since we, at COU Miami, make it our responsibility to assist you when placing your property on the market. 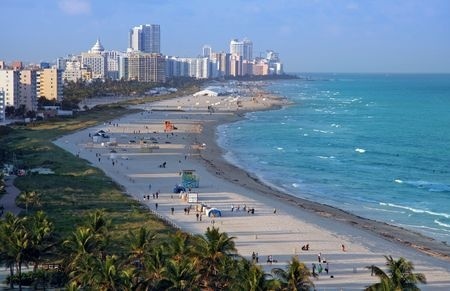 With the possession of a Certificate of Use, Dade County residents are assured of well-situated buildings, after consulting us, at COU Miami. Not only do we monitor the fundamental aspects of your desired structure, we also ensure that you're settling in a good environment. This entitles you to an opportunity to setup at a convenient location (i.e. schools, churches, hospitals are accessible) or at any harmonious setting. Whether the property that you own is set in an extensive commercial or residential area, the document serves as proof that you're not constructing an establishment in a hazardous region. An economic benefit of a Certificate of Use is the effective management of your resources. With a well-strategized construction plan, your building's systems (e.g. plumbing, lighting network, electrical grid) can be designed as recommended; water, electricity, and other utilities can be used accordingly. As a result of adhering to certain land use regulations, you won't be faced with financial setbacks, legal punishments, and related consequences. Moreover, when it comes to such concerns, as well as an application for a Certificate of Use, Dade County's COU of Miami - Certificate of Use Inspections is the company to approach.